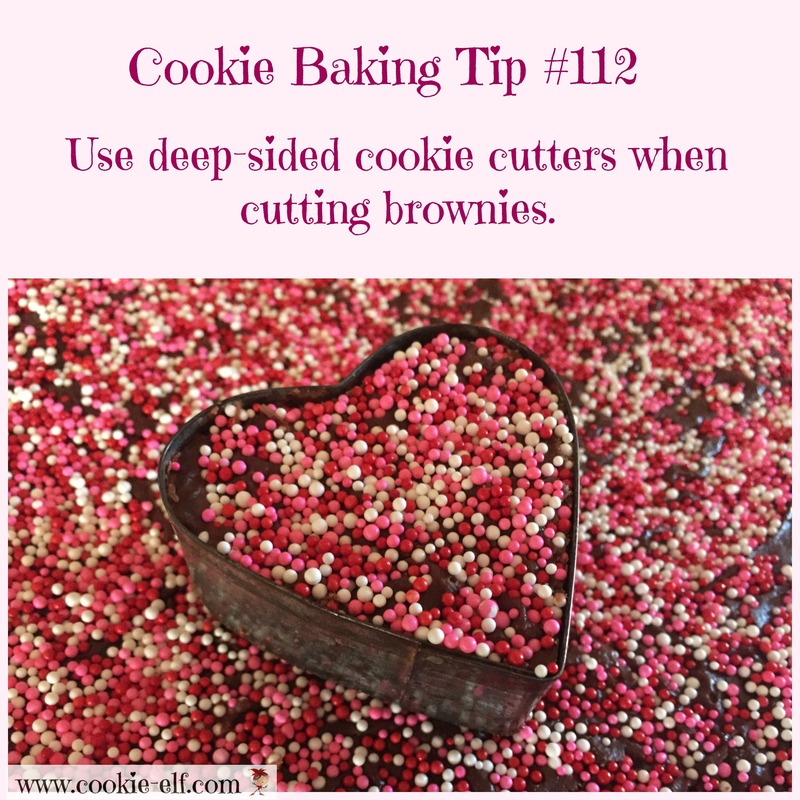 These tips show you how to cut brownies with cookie cutters - and do it with less mess and more success. They’re a fun twist on America’s favorite bar cookie, especially for holidays or special occasions. Kids love them! When you think of cookie cutters, sugar cookies come to mind. But brownies are thicker and cakier than sugar cookie dough. And while you cut sugar cookies before you bake them, cookie cutter brownies are cut after they come out of the oven. These tips help save time and mess when you make cookie cutter brownies. What Cookie Cutters Should You Use To Cut Brownies? The cookie cutter shape does not matter as much as the depth of its edges. These steps show how to cut brownies with cookie cutters ... and they work with any brownie recipe! Line the baking pan with aluminum foil or parchment paper. Grease it well. Brownie batter is sticky! Bake the brownies according to package or recipe directions. Be careful not to over-bake. Allow the brownies to cool completely. Set cooled pan in refrigerator for at least 30 minutes before cutting the brownies. Remove brownies from the refrigerator. Peel away foil or paper and set the brownie slab on a cutting board. Coat the inside of the cookie cutter with vegetable spray or shortening so that brownies don’t stick when you cut them. Start on one end of the slab. Insert the cookie cutter as close as possible to the edge. Rock it back and forth gently to loosen the cookie from the rest of the brownie. Use a spatula to lift the cut brownie onto a plate or into a plastic container. Repeat the process, placing the cookie cutter as close as possible to the cut edges, until you have cut as many brownies as possible from the slab. The brownie slab surface may crack a bit as you use the cutters. Don’t worry! Brownies, because they are so moist, are very forgiving. Use your fingers to squeeze the edges of the crack back together. Really. Brownies are easier to cut near the edges of the slab than in the center – the edges are firmer because they are more well done. Use extra caution as you cut brownies towards the middle of the slab. They will be looser. Unlike sugar cookie dough, you cannot re-roll and recut brownies. Cut brownies as close as possible to each other to get as big a yield as possible. Save the scraps for snacks or samples. Get more cookie baking tips and hints on our Pinterest board.